Jeffrey Goldberg is confident in Barack Obama's oft-stated commitment to stop Iran from building the nuclear weapon that everyone, including his own intelligence agencies (and others) and Defense Secretary know it isn't building. Why? Well, basically because Obama's said so. A lot. Explaining that anyone who doesn't recognize that Obama has "promised to do 'whatever it takes' to prevent Iran from crossing the nuclear threshold...hasn't been listening," Goldberg wrote last week that he takes the American President "at his word, in part because he's repeated himself on the subject so many times and in part because he has laid out such an effective argument against containment and for disruption, by force, if necessary." That Goldberg trusts Obama's seriousness comes as no surprise considering what Goldberg wrote on June 6, 2011 in a dazzlingly alarmist (and factually-lacking) article for Bloomberg entitled "Iran Wants the Bomb, and It's Well on Its Way." "I believe firmly, after two years of reporting on the Iranian nuclear program," Goldberg declared, "that President Barack Obama would order air strikes if he thought Iran was moving definitively to become a nuclear-armed state." To better illustrate his point, Goldberg enlisted the aid of his trusty, colleague Armin Rosen to track down a litany of Obama's statements from the past four years that demonstrate a consistent commitment to using "military force to prevent Iran from getting the bomb." The catalog of twenty quotations (admittedly only "a partial accounting of Obama's statements on the subject") is effective and yes, Obama has been consistent. * Goldberg writes that, sure, Obama could potentially "change his mind on the subject," but for now, "the record is the record: Given the number of times he's told the American public, and the world, that he will stop Iran from going nuclear, it is hard to believe that he will suddenly change his mind and back out of his promise." So if consistency and repetition are what make Jeffrey Goldberg believe what Obama says - what he terms as a "crystal-clear promise" - about preventing an imaginary Iranian bomb, wouldn't it logically follow that the constantly repeated statements by senior Iranian officials regarding their own promise never to obtain such a diabolical and destructive device would hold similar sway? Clearly that's too much to ask. Goldberg has written for years now that Iran "is on the verge of gaining the technology to detonate nukes" and that the "Iranian mullahs...want the nukes because they expect the apocalypse." As far back as 2006, he insisted, "It's time we took their views seriously." So what are the Iranian leadership's repeatedly stated views on nuclear weapons that should be taken so seriously? Senior adviser to Khamenei and National Security Council member Mohammad Javad Larijani, September 18, 1991: "[Acquiring nuclear capability has been] erased from Iran's policy." AEOI head Amrollahi, February 9, 1992: "We have never had nor will ever have other intentions" [than using nuclear equipment for peace purposes]. Iranian Deputy Foreign Minister Ali Mohammad Besharati, November 27, 1992: "We have no need for nuclear weapons." Besharati also described allegations that Iran was planning to acquire nuclear weapons as "a lie and a plot." AEOI head Amrollahi, February 18, 1993: "Our nuclear program is peaceful. My country has signed the Nuclear Non-Proliferation Treaty and has repeatedly expressed its willingness to honor it. Also, we are an active member of the International Atomic Energy Agency [IAEA]." Iranian Vice President for Economic Affairs Mohsen Nurbakhsh, September 29, 1993: "Iran will not seek to acquire weapons of mass destruction under any circumstances." Iranian Ambassador and Permanent Representative to the United Nations Seyed Kamal Kharazi, April 11, 1995: "The continued production, stockpiling and testing of nuclear weapons by nuclear powers endanger the security of non-nuclear weapon states who believe that the only effective security assurance against the use or threat of use of nuclear weapons lies in the total elimination of such weapons." Iranian President Rafsanjani, March 23, 1997: "We're not after nuclear bombs and we won't go after biological and chemical weapons." Iranian President Seyyed Mohammad Khatami, January 7, 1998: "We are not planning on building nuclear weapons and only aim to employ nuclear energy for peaceful purposes...We are not a nuclear [-armed] power and do not intend to become one." President Khatami, September 21, 1998: "[The world should] be liberated from the nightmare of nuclear war and weapons of mass destruction...the idea of attaining security through the acquisition of such armaments is nothing but an illusion." Iranian Deputy Foreign Minister for Legal and International Affairs Javad Zarif, March 28, 2002: "Mass destructive weapons, by their very existence, undermine this basic principle as well as the most fundamental human rights and the very foundations of international humanitarian law... As for Iran, let me underline once again and in no equivocal terms that we consider the development and use of weapons of mass destruction inhuman, immoral, illegal and against our very basic principles. They have no place in our defence doctrine. We do not have, nor do we seek, any such weapons, and most certainly we do not accept or tolerate allegations by those who have clearly placed themselves and their protégé outside the law." Iranian Supreme National Security Council chief and top presidential advisor Hassan Rouhani, September 2002: "When we have signed international treaties, it means we are not pursuing making nuclear weapons. We are not pursuing making chemical weapons. We are not pursuing making biological weapons. Iran is not interested in any of these." Supreme Leader Ayatollah Sayyid Ali Khamenei, March 21, 2003: "The statement that the Islamic Republic wants to obtain chemical weapons and the atomic bomb is totally false...[W]e are not interested in an atomic bomb. We are opposed to chemical weapons. When Iraq was using chemical weapons against us we refused to produce chemical weapons. These things are against our principles." President Khatami, September 15, 2003: "[N]ot only are we not aiming to produce weapons of mass destruction, but we want the region and the world to be free of weapons of mass destruction...We don't need atomic bombs, and based on our religious teaching we will not pursue them. But at the same time we want to be strong, and being strong means having knowledge and technology." Iranian Foreign Minister Seyed Kamal Kharrazi, September 25, 2003: "Weapons of mass destruction are amongst the most potent threats to peace and security at the regional and global levels... We are convinced that pursuit of nuclear and other weapons of mass destruction not only cannot provide deterrence or enhance one’s security and influence, but will only increase vulnerability. Thus, I can state categorically that for all these reasons, weapons of mass destruction have no place in the defensive strategy of my country...Iran does not have a nuclear weapons program nor does it intend to embark on one." Statement by the Iranian Government and Visiting EU Foreign Ministers, October 21, 2003: "The Iranian authorities reaffirmed that nuclear weapons have no place in Iran's defence doctrine and that its nuclear programme and activities have been exclusively in the peaceful domain. They reiterated Iran's commitment to the nuclear non-proliferation regime..."
Ayatollah Khamenei, October 2003: "The Islamic Republic of Iran, based on its fundamental religious and legal beliefs, would never resort to the use of weapons of mass destruction. In contrast to the propaganda of our enemies, fundamentally we are against any production of weapons of mass destruction in any form." Iranian Ambassador and Permanent Representative to the United Nations Javad Zarif, November 3, 2003: "Like all other members of the NPT, Iran considers the pursuit and development of nuclear technology for peaceful purposes to be its inalienable right, and has thus invested extensive human and material resources in the field. At the same time, as repeatedly stated, nuclear and other weapons of mass destruction have no place in Iran’s defense doctrine, not only because of our commitment to our contractual obligations under the NPT and other relevant conventions, but in fact because of a sober strategic calculation." Iranian Supreme National Security Council Chief Hassan Rouhani, November 3, 2003: "[L]ike any other signatory to the NPT, Iran should also be able to enjoy peaceful use of nuclear technology...Iran is determined to make sure that the international community is assured of the peaceful nature of its programme." UN Ambassador Zarif, December 12, 2003: "Nuclear weapons and other weapons of mass destruction do not have a place in our defense doctrine. We have stated that clearly. And we have shown it... I can categorically tell you that Iran does not have a nuclear weapons program... Any facility we have... if it is dealing with nuclear technology, it is within the purview of our peaceful nuclear program." Iranian Foreign Minister Seyed Kamal Kharrazi, February 13, 2004: "Basically, we do not think that a nuclear weapon is going to bring us more security. It is not part of our doctrine." Senior nuclear negotiator Hassan Rouhani, June 21, 2004: "We have done everything to defuse the accusation that our nuclear activities are not for peaceful purposes...We are certainly entitled to the civilian use of nuclear energy. No one can hold that against us." Senior nuclear negotiator Hassan Rouhani, July 5, 2004: "Iran's cooperation with the IAEA is a clear evidence of its peaceful nuclear program and of its adherence to IAEA regulations." Iranian Supreme National Security Council official Hussein Mousavian, September 12, 2004: "The religious verdict of our leader is that using mass destruction weapons is forbidden, is haram." Iranian Foreign Ministry spokesman Hamid Reza Assefi, September 12, 2004: "We believe that the use of nuclear weapons is religiously forbidden. This is the leader's fatwa." Iranian Foreign Minister Seyed Kamal Kharrazi, September 24, 2004: "Iran feels very strongly about the absolute imperative of a collective and rule based multilateral campaign to eradicate all these weapons [of mass destruction] and to prevent the proliferation of nuclear weapons as an interim measure." Deputy UN Ambassador Mehdi Danesh Yazdi, November 1, 2004: "It should however be clearly cited, as repeatedly stated before, that nuclear and other weapons of mass destruction have no place in Iran's defense doctrine, not only because of our religious convictions and obligations under the NPT and other relevant conventions, but in fact because of a sober strategic calculation." Ayatollah Khamenei, November 5, 2004: "[W]e are not seeking to have nuclear weapons... [to] manufacture, possess or use them, that all poses a problem. I have expressed my religious convictions about this, and everyone knows it." Iranian Ambassador and Permanent Representative to the United Nations Javad Zarif, November 5, 2004: "[Iran has] serious ideological restrictions against weapons of mass destruction, including a religious decree issued by Ayatollah Ali Khamenei, the leader of the Islamic Republic of Iran, prohibiting the development and use of nuclear weapons." Former President Rafsanjani, December 5, 2004: "I absolutely offer the world the assurance that Tehran is not after nuclear arms but will not forsake its absolute right [to peaceful nuclear energy]." Iranian Proposal to the EU Political and Security Working Group, January 17, 2005: "Iran remains committed not to pursue nuclear weapons and other weapons of mass destruction under any circumstances." Foreign Minister Kharrazi, February 14, 2005: "Tehran's use of uranium enrichment is not used to make nuclear weapons...Iran has been always pushing for the elimination of nuclear weapons. Basically this means that it is forbidden based on our ideology, based on our Islamic thinking it is forbidden to produce and use nuclear weapons as well as other weapons of mass destruction." Senior nuclear negotiator Rouhani, April 13, 2005: "[The fatwa of Khamenei] is more important for us than the articles of the Nuclear Non-Proliferation Treaty and its Additional Protocol... [T]he fatwa of the Guide forbids the production, stockpiling and use of nuclear weapons, and that the fatwa is, in the Islamic Republic, an obligatory law." UN Ambassador Javad Zarif, May 27, 2005: "Nuclear weapons should not imply political clout and capability to shape and influence world events. Holding on and expanding nuclear arsenal should be condemned rather than condoned or tolerated. Any increase in nuclear capability should equal a reduction in political credibility." Iranian nuclear negotiator Sirus Naseri, August 10, 2005: "The Leader of the Islamic Republic of Iran, Ayatollah Ali Khamenei has issued the fatwa that the production, stockpiling, and use of nuclear weapons are forbidden under Islam and that the Islamic Republic of Iran shall never acquire these weapons. President Mahmud Ahmadinejad, who took office just recently, in his inaugural address reiterated that his government is against weapons of mass destruction and will only pursue nuclear activities in the peaceful domain...The leadership of Iran has pledged at the highest level that Iran will remain a non-nuclear-weapon state party to the NPT." Iranian President Mahmoud Ahmadinejad, September 17, 2005: "This is a nuclear cycle for civilian peaceful purposes, it's a right of a country, and our country will pursue it... All of our activities have been transparent to the agency, and we've announced many times that because of our religious views, our cultural views, we're against the creation and or use of nuclear weaponry... [T]he creation, the research towards the creation and use of nuclear weapons of mass destruction is not allowed. Therefore, our country cannot allocate any specific budgets or resources to such activities." Iranian President Mahmoud Ahmadinejad, September 17, 2005: "[Iran's] previously and repeatedly declared position [is] that in accordance with our religious principles, pursuit of nuclear weapons is prohibited." UN Ambassador Javad Zarif, November 18, 2005: "There is also a fundamental ideological objection to weapons of mass destruction, including a religious decree issued by the leader of the Islamic Republic of Iran prohibiting the development, stockpiling or use of nuclear weapons... The Islamic Republic of Iran is committed to non-proliferation and the elimination of nuclear weapons, and considers nuclear weapons and capability to produce or acquire them as detrimental to its security." UN Ambassador Javad Zarif, April 6, 2006: "Iran's reliance on the nonproliferation regime is based on legal commitments, sober strategic calculations and spiritual and ideological doctrine. Ayatollah Ali Khamenei, the leader of the Islamic Republic, has issued a decree against the development, production, stockpiling and use of nuclear weapons." Iranian Supreme National Security Council member Hassan Rouhani, May 9, 2006: "A nuclear weaponized Iran destabilizes the region, prompts a regional arms race, and wastes the scarce resources in the region. And taking account of U.S. nuclear arsenal and its policy of ensuring a strategic edge for Israel, an Iranian bomb will accord Iran no security dividends. There are also some Islamic and developmental reasons why Iran as an Islamic and developing state must not develop and use weapons of mass destruction." Ayatollah Khamenei, June 4, 2006: "We do not need a nuclear bomb. We do not have any objectives or aspirations for which we will need to use a nuclear bomb. We consider using nuclear weapons against Islamic rules. We have announced this openly. We think imposing the costs of building and maintaining nuclear weapons on our nation is unnecessary. Building such weapons and their maintenance are costly. By no means [do] we deem it right to impose these costs on the people. We do not need those weapons. Unlike the Americans who want to rule the world with force, we do not claim to control the world and therefore do not need a nuclear bomb." UN Ambassador Javad Zarif, July 31, 2006: "The people and Government of the Islamic Republic of Iran are determined to exercise their inalienable right to nuclear technology for peaceful purposes and to build on their own scientific advances in developing various peaceful aspects of this technology. At the same time, as the only victims of the use of weapons of mass destruction in recent history, they reject the development and use of all these inhuman weapons on ideological as well as strategic grounds. The Leader of the Islamic Republic has issued a public and categorical religious decree against the development, production, stockpiling and use of nuclear weapons. Iran has also clearly and continuously stressed that nuclear weapons have no place in its military doctrine." President Ahmadinejad, August 2006: "Nuclear weapons have no place in Iran's defense doctrine and Iran is not a threat to any country." President Ahmadinejad, August 2006: "Basically we are not looking for - working for the bomb...The time of the bomb is in the past." President Ahmadinejad, September 14, 2006: "The Islamic Republic of Iran reiterates its previously and repeatedly declared position that in accordance with our religious principles, pursuit of nuclear weapons is prohibited." President Ahmadinejad, September 17, 2006: "We are opposed to nuclear weapons. We think it has been developed just to kill human beings. It is not in the service of human beings. For that reason, last year in my address to the U.N. General Assembly, I suggested that a committee should be set up in order to disarm all the countries that possess nuclear weapons...Today nuclear weapons are a blunt instrument...Problems cannot be solved through bombs. Bombs are of little use today. We need logic." President Ahmadinejad, September 20, 2006: "You must know that, because of our beliefs and our religion...[w]e are against the atomic bomb." President Ahmadinejad, September 22, 2006: "We are no threat for anyone. The issue of making nuclear weapons has no place in Iran's policy. Making nuclear weapons is not on Iran's agenda." Deputy UN Ambassador Mehdi Danesh Yazdi, October 30, 2006: "At the same time, as repeatedly stated, nuclear and other weapons of mass destruction have no place in Iran's defense doctrine." UN Ambassador Javad Zarif, December 23, 2006: "[Iran has] categorically rejected development, stockpiling and use of nuclear weapons on ideological and strategic grounds...The Islamic Republic of Iran firmly believes that the days of weapons of mass murder have long passed; that these inhumane instruments of indiscriminate slaughter have not brought internal stability or external security for anyone and they will not be able to do so in the future." UN Ambassador Javad Zarif, February 5, 2007: "[W]e believe that nuclear weapons will not augment anybody's security... [A]fter India and Pakistan had their test explosions in 1998, what Iran did was to go to the conference on disarmament and ask for universalization of the NPT because that is how we define our national security. We define our national security in terms of preventing a nuclear arms race and hopefully one day eliminating all nuclear weapons all together." Deputy UN Ambassador Mehdi Danesh Yazdi, February 23, 2007: "As a State Party to all international instruments banning WMD, namely NPT, CWC, BTWC and the 1925 Geneva Protocol, and based on its ideological as well as international commitments, the Islamic Republic of Iran has always considered possessing, acquiring, developing, and using WMD as inhumane, immoral and illegal, and believes that the most effective way of preventing non-state actors from acquiring WMD is through the total elimination of such weapons." Iranian Foreign Minister Manouchehr Mottaki, March 24, 2007: "As we have stressed time and again, Iran’s nuclear program is completely peaceful." President Ahmadinejad, September 20, 2007: "I want to address all politicians around the world, statesmen. Any party who uses national revenues to make a bomb, a nuclear bomb, will make a mistake. Because in political relations right now, the nuclear bomb is of no use....we don't need such weapons. In fact, we think that this is inhuman." President Ahmadinejad, September 24, 2007: "Making nuclear, chemical and biological bombs and weapons of mass destruction is yet another result of the misuse of science and research by the big powers...We do not believe in nuclear weapons, period. It goes against the whole grain of humanity." President Ahmadinejad, September 25, 2007: "All our nuclear activities have been completely peaceful and transparent." President Ahmadinejad, September 27, 2007: "We've said many times before, we don't need the weapon. It's not enshrined in our defense doctrine, nuclear defense. And ideologically, we don't believe in it either. We have actually rejected it on an ideological basis. And politically, we know that it is useless." Iranian Ambassador and Permanent Representative to the United Nations Mohammad Khazaee, March 3, 2008: "Iran's nuclear program has been, is, and will remain absolutely peaceful and in no way poses any threat to international peace and security... On the basis of ideological and strategic grounds, Iran categorically rejects the development, stockpiling and use of nuclear weapons as well as all other weapons of mass destruction." President Ahmadinejad, July 28, 2008: "We are not working to manufacture a bomb. We don't believe in a nuclear bomb... Nuclear bombs belong to the 20th century. We are living in a new century... Nuclear energy must not be equaled to a nuclear bomb. This is a disservice to the society of man." President Ahmadinejad, August 22, 2008: "We want nuclear disarmament [for all countries]...and we consider it to be against humanity to manufacture nuclear weapons...we oppose that strongly...Our position is very clear...We believe that a nuclear weapon has no use, obsolete. Anyone who has a nuclear weapons does not create any political advantage for themselves." President Ahmadinejad, September 23, 2008: "We believe, as a matter of religious teaching, that we must be against any form of weapons of mass destruction, including nuclear weapons. The production and the usage of nuclear weapons is one of the most abhorrent acts to our eyes...The time for a nuclear bomb has ended. Whoever who invests in it is going the wrong way." Ayatollah Khamenei, June 4, 2009: "Our nation says that it seeks to achieve nuclear technology and that it seeks to have the capability to use nuclear energy for peaceful, civilian purposes. They say that the Iranian nation is trying to develop a nuclear bomb. Why do they tell these lies?...On numerous occasions, the Iranian people and government officials have announced that they do not seek to develop nuclear weapons and that nuclear weapons have no place in the needs of the nation and the military system of the country. We announced that it is haraam and prohibited to use nuclear weapons from an Islamic point of view and that having such weapons causes a great danger and needless trouble. We are not after nuclear weapons, and neither do we wish to have them. Even if they paid money and told us to develop a nuclear weapon, our nation and officials would not do so." President Ahmadinejad, September 17, 2009: "We don't have such a need for nuclear weapons. We don't need nuclear weapons. Without such weapons, we are very much able to defend ourselves...It's not a part of any of our programs and plans." Ayatollah Khamenei, September 20, 2009: "We fundamentally reject nuclear weapons and prohibit the use and production of nuclear weapons. This is because of our ideology, not because of politics or fear of arrogant powers or an onslaught of international propaganda. We stand firm for our ideology." President Ahmadinejad, December 18, 2009: "[W]e do not want to make a bomb...Our policy is transparent. If we wanted to make a bomb we would be brave enough to say so. When we say that we are not making one, we are not. We do not believe in it." Ayatollah Khamenei, February 19, 2010: "[W]e have often said that our religious tenets and beliefs consider these kinds of weapons of mass destruction to be symbols of genocide and are, therefore, forbidden and considered to be haram...This is why we do not believe in atomic bombs and weapons and do not seek them." Iranian Foreign Minister Manouchehr Mottaki, April 7, 2010: "Iran does not believe in nuclear weapons nor does it need one...Iran believes that the era of nuclear weapons is over. These weapons are not even of use to those who possess them." Head of Iran's Atomic Energy Organization Ali Akbar Salehi, April 13, 2010: "No, [we are not trying to make a nuclear weapon]. We have indicated this…many times. Not me -- our President, our Supreme Leader. It's against our tenets. It's against our religion." Ayatollah Khamenei, April 17, 2010: "Any use of or even threat to use nuclear weapons is a serious and material violation of indisputable rules of humanitarian law and a cogent example of a war crime...We regard the use of these weapons to be illegal and haram, and it is incumbent on all to protect humankind from this grave disaster." President Ahmadinejad, May 3, 2010: "The nuclear bomb is a fire against humanity rather than a weapon for defense...The possession of nuclear bombs is not a source of pride; it is rather disgusting and shameful. And even more shameful is the threat to use or to use such weapons, which is not even comparable to any crime committed throughout the history." President Ahmadinejad, May 3, 2010: "We are opposed to the bomb, the nuclear bomb, and we will not build it. If we want to build it, we have the guts to say it...So when we say we don't want it, we don't want it." Iranian Ambassador and Permanent Representative to the United Nations Mohammad Khazaee, June 9, 2010: "Iran as a victim of the use of weapons of mass destruction in recent history has rejected and opposed the development and use of all these inhuman weapons on religious as well as security grounds." Iranian Parliament (Majlis) Speaker Ali Larijani, July 23, 2010: "[B]eing a nuclear power does not mean that we are going to make a bomb." President Ahmadinejad, September 22, 2010: "We are not seeking the bomb. We have no interest in it. And we do not think that it is useful. We are standing firm over the issue that both the Zionist regime and the United States government should be disarmed." President Ahmadinejad, September 23, 2010: "The nuclear bomb is the worst inhumane weapon and which must totally be eliminated." Iranian Ambassador to the International Atomic Energy Agency Ali Asghar Soltanieh, November 2, 2010: "Tehran can not compete in terms of the numbers of warheads possessed by the nuclear-armed major powers, so if it seeks to produce nuclear weapons, it will be placed in a disadvantageous position compared with these countries...[Iran will not make such a] strategic mistake." Ayatollah Khamenei, December 22, 2010: "We don't have any belief in the atomic bomb and don't pursue it. Our religious principles and beliefs forbid the acquisition and use of such weapons of mass murder. We consider such weapons to be a symbol of destruction." President Ahmadinejad, August 4, 2011: "When we say we don't have any intention to build a bomb, we're honest and sincere. We believe that today if someone wants to build a bomb he's crazy and insane...An atomic bomb is against all humans." President Ahmadinejad, August 14, 2011: "Never, never. We do not want nuclear weapons. We do not seek nuclear weapons. This is an inhumane weapon. Because of our beliefs we are against that. Firstly, our religion says it is prohibited. We are a religious people. Secondly, nuclear weapons have no capability today. If any country tries to build a nuclear bomb, they in fact waste their money and resources and they create great danger for themselves." President Ahmadinejad, September 13, 2011: "When we say we are not going to build nuclear weapons, we mean it. Because we consider it an evil thing and we do not need those items." President Ahmadinejad, September 20, 2011: "I've said many times we don't want a bomb and we are against any nuclear bombs." President Ahmadinejad, September 22, 2011: "We are not seeking the weapon. We are not seeking the nuclear weapon." President Ahmadinejad, November 9, 2011: "The Iranian nation is wise. It won't build two [nuclear] bombs against the 20,000 you have. But it builds something you can't respond to: ethics, decency, monotheism and justice." Senior adviser to Khamenei Mohammad Javad Larijani, November 18, 2011: "[Iran seeks] advancement in science and technology related to nuclear area, not directed toward the weapon area...We are a signatory of NPT, we are a sincere signatory to the NPT. We think non-proliferation is a benefit of Iran and all of us...We are an advocate of a Middle East free of nuclear weapons." Guardian Council Chairman Ayatollah Ahmad Jannati, November 25, 2011: "The Islamic Republic of Iran does not need nuclear arms...[but] will not relinquish its peaceful and civilian nuclear activities." Majlis Speaker Ali Larijani, January 12, 2012: "We are not after nuclear weapons. We do not find nuclear weapons right from a religious perspective." Iranian Foreign Minister Ali Akbar Salehi, January 30, 2012: "Iran is never, ever after nuclear weapons." Ayatollah Khamenei, February 22, 2012: "The Iranian nation has never sought and will never seek nuclear weapons...Iran does not seek nuclear weapons since the Islamic Republic of Iran regards the possession of nuclear weapons as a great sin, in terms of thought, theory and religious edict, and also believes that holding such weapons is useless, costly and dangerous." Iranian Foreign Minister Ali Akbar Salehi, February 28, 2012: "[Nuclear weapons are] immoral and illegitimate...I would like to re-emphasize that we do not see any glory, pride or power in the nuclear weapons, quite the opposite based on the religious decree issued by our supreme leader, the production, possession, use or threat of use of nuclear weapons, are illegitimate, futile, harmful, dangerous and prohibited as a great sin." Former Iranian President Akbar Hashemi Rafsanjani, March 2012: "We really do not want to make nuclear weapons and a nuclear weapon program...We deeply believe that nuclear weapons must not exist, and this has been part of our policy." Judiciary Chief Ayatollah Sadeq Amoli Larijani, April 11, 2012: "The fatwa that the Supreme Leader has issued is the best guarantee that Iran will never seek to produce nuclear weapons." Ayatollah Mohammad Emami-Kashani, April 13, 2012: "As the Ayatollah Seyyed Ali Khamenei has said and other Iranian officials have reiterated, the work done in the field of nuclear energy is not meant for making nuclear weapons...These activities are for scientific purposes; you must realize and believe this." Senior adviser to Khamenei, Mohammad Javad Larijani, April 13, 2012: "Iran is not after nuclear weapon[s]. [A] nuclear weapon is not an asset for us, it is more [of a] liability. Pakistan has nuclear weapons, you see is a shambled country in terms of security. It doesn't add to our security. We are secure enough, we are strong enough, without nuclear weapon. And it is against the fatwa of Ayatollah Khamenei. Nobody [would dare] do that...This is the fatwa of Iman Khomeini and the fatwa of Ayatollah Khamenei." President Ahmadinejad, May 23, 2012: "[P]roduction and use of weapons of mass destruction is forbidden...There is no room for these weapons in Iran's defense doctrine." Iran's chief negotiator Saeed Jalili, June 16, 2012: "Firstly, we are strongly against weapons of mass destruction. Today, the Islamic Republic of Iran has the capacities to cooperate in disarmament and nuclear non-proliferation, so these capacities should be used by the international community." Ayatollah Khamenei, August 30, 2012: "Nuclear weapons neither ensure security, nor do they consolidate political power; rather they are a threat to both security and political power...The Islamic Republic of Iran considers the use of nuclear, chemical and similar weapons as a great and unforgivable sin. We proposed the idea of [a] "Middle East free of nuclear weapons" and we are committed to it...I stress that the Islamic Republic has never been after nuclear weapons and that it will never give up the right of its people to use nuclear energy for peaceful purposes." Iranian Vice President and head of the Atomic Energy Organization Fereydoon Abbasi-Davani, September 17, 2012: "The Islamic Republic of Iran...has always opposed and will always denounce the manufacture and use of weapons of mass destruction." President Ahmadinejad, September 23, 2012: "We will never use the wealth of our nation for these [nuclear weapons] objectives." President Ahmadinejad, September 24, 2012: "At the end of the day, everyone knows that Iran is not seeking a nuclear bomb. The scene resembles one of a comedy show. Those who accuse us are those whose warehouses have nuclear stockpiles. They talk of security. If you are so preoccupied with this, why not do away with your own nuclear stockpiles?" President Ahmadinejad, September 24, 2012: "Let's even imagine that we have an atomic weapon, a nuclear weapon. What would we do with it? What intelligent person would fight 5,000 American bombs with one bomb? Also, because of our beliefs, we do not believe in a nuclear weapon. We are against it." Iranian Deputy Ambassador to the United Nations Eshagh Al Habib, September 27, 2012: "[The] nuclear program of my country  is exclusively peaceful and in full conformity with our international obligations and in exercising our inalienable right to use nuclear science and technology for peaceful purposes." Iranian Foreign Minister Ali Akbar Salehi, October 1, 2012: "Had Iran chosen to [go] nuclear in the sense of weaponization, it would not be a deterrent for Iran. It would attract more threats from the other side." Iranian Ambassador and Permanent Representative to the United Nations Mohammad Khazaee, October 1, 2012: "Nuclear activities of my country are, and always have been, exclusively for peaceful purposes and the non-diversion of declared nuclear material in Iran has been repeatedly confirmed by the IAEA." Furthermore, Supreme Leader Ayatollah Khamenei's own website has had, for some time now, an entire page specifically dedicated to Iran's official policy on nuclear energy and nuclear weapons. It states clearly, "According to our logic, it is not right for a country to use its knowledge to produce such weapons as nuclear bombs which annihilate armed soldiers, innocent civilians, children, babies and oppressed people indiscriminately once they are dropped somewhere," adding, "Iran is not after an atomic bomb, and it is even opposed to possession of chemical weapons. Even when Iraq used chemical weapons against Iran, we did not try to manufacture chemical weapons. Such things are not in line with the principles of the Islamic Republic of Iran." Khamenei's official statement repeatedly affirms, "The Islamic Republic of Iran does not have this motivation, and it has never been after nuclear weapons. Iran does not need a nuclear bomb" and "We believe that using nuclear weapons is haram and prohibited." Referring to the American use of nuclear weapons to murder hundreds of thousands of Japanese civilians at Hiroshima and Nagasaki, Khamenei explains that the "anti-human effects went beyond political and geographic borders, even inflicting irreparable harm on future generations. Therefore, using or even threatening to use such weapons is considered a serious violation of the most basic humanitarian rules and is a clear manifestation of war crimes." Reading this litany, it is no wonder President Ahmadinejad recently told journalists in New York that the nuclear issue "is a very tiresome subject." But naturally, these constantly repeated statements by Iranian officials have had no affect on Jeffrey Goldberg. He still regularly frets about "the threat posed by Iran's nuclear ambitions to world peace" and somehow believes that a nuclear-armed Iran would actually threaten the "existence" of his once-adopted nation, Israel. General Martin Dempsey, Chairman of the U.S. Joint Chiefs of Staff: "We are of the opinion that the Iranian regime is a rational actor. They act and behave as a rational nation-state." Lieutenant General Benny Gantz, Israeli Defense Forces Chief of Staff: "I think the Iranian leadership is composed of very rational people." Lieutenant General Ron Burgess, U.S. Defense Intelligence Agency Director: "Iran is unlikely to initiate or provoke a conflict." General Meir Dagan, former Director of the Mossad: "The regime is a very rational regime. There is no doubt they are considering all the implications of their actions." General Gabi Ashkenazi, former Israeli Defense Forces Chief of Staff: "The Iranian regime is radical, but it's not irrational." Lieutenant General James Clapper, U.S. Director of National Intelligence: "We continue to judge that Iran's nuclear decision-making is guided by a cost-benefit approach. Iranian leaders undoubtedly consider Iran's security, prestige, and influence, as well as the international political and security environment, when making decisions about its nuclear program." Lieutenant General Ehud Barak, Israeli Defense Minister: "I don't think the Iranians, even if they got the bomb, (would) drop it in the neighborhood. They fully understand what might follow. They are radical but not totally crazy. They have a quite sophisticated decision-making process, and they understand reality." Efraim Halevy, former Director of the Mossad: "I don't think they are irrational, I think they are very rational. To label them as irrational is escaping from reality, and it gives you kind of an escape clause." Admiral Dennis Blair, former U.S. Director of National Intelligence: "Iran hasn't made up its mind [to acquire a nuclear weapon]...But I'm telling you, I think they will pull back, add up all of the different factors. Iran has made rational decisions in terms of pros and cons and pluses and minuses in the long run." As career diplomat Chas Freeman wrote in his 1994 resource, The Diplomats' Dictionary, "To dismiss a foreign government, policy or circumstance as 'irrational' is to confess that one does not understand its motivations, causes, or calculus, has no idea how to deal with it short of the use of force, and has no intention of making the effort to discover how to do so." This perfectly sums up the deficiency of Goldberg's (and other neoconservative acolytes') routinely shoddy analysis, ideological aversion to facts, and increasingly bellicose commentary. The claim that Iran is a martyr state, hell-bent on obtaining a nuclear weapon in order to obliterate Israel, literally makes no sense and is used solely as a bludgeon against any rational commentary about Iranian national rights, sovereignty and potential intentions. The hysteria and selective outrage over boilerplate rhetoric from Iranian leaders is yet another prong of this strategy. The overall effect is to paint the Iranian leadership as a one-dimensional caricature devoid of reason, pragmatism or concerns unrelated to Israel or the United States. In essence, Iran as a whole is depicted with cartoonish simplicity, much like Netanyahu's buffoonish bomb drawing. Iranian leaders understand well the purpose of this caricature and have spoken out against it. For instance, in 2009, Iranian leader Ayatollah Khamenei stated clearly, "Regarding our vital issues, we are not sentimental. We do not make decisions based on emotion. We make decisions through calculation." Nevertheless, in his capacity as the Israeli Prime Minister's dutiful mouthpiece here in the United States, Goldberg consistently allows himself to be willfully used by the Israeli leadership to promote whatever public image it seeks to show at any given time. To put it simply, Goldberg is nothing but a propagandist. His adherence to Israeli government talking points, fealty to the concept that American aggression should be never be hampered by law or morality, and his blinkered understanding and incessant demonization of Iran are testaments to this fact. Consequently, when a Nobel Peace Prize-winning President repeatedly affirms his commitment to authorize the supreme international crime of initiating a war of aggression, Goldberg lauds this determination as a consistent, crystal-clear promise. When Iranian leaders consistently declare they have no intention of acquiring nuclear weapons or attacking any country, they are either dismissed as liars or, more often, totally ignored. 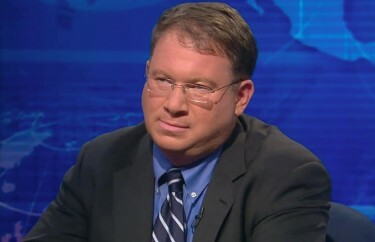 It is clear that, for Jeffrey Goldberg, along with a large majority of the mainstream press, the record is only the record if it conforms to and reinforces predetermined assumptions and a political agenda. * The very first quote listed in Rosen's catalog has the incorrect date applied to it. It's actually from a meeting in Cairo on June 4, 2009, not - as Rosen labeled it - June 5, 2008. Also, Rosen could have included Obama's 2004 statement that while "launching some missile strikes into Iran is not the optimal position," he said his "instinct would be to err on not having those weapons in the possession of the ruling clerics of Iran." Goldberg himself is aware of this statement, but it didn't make the list, which probably means he outsourced his post almost entirely to Rosen's mildly-capable hands. This post was originally posted at Mondoweiss. November 8, 2012 - Speaking at a forum in Bali, Indonesia, Iranian President Mahmoud Ahmadinejad repeated the often-stated official policy of the Iranian government regarding nuclear weapons. Reuters reports the president as saying, "The period and era of using nuclear weapons is over...Nuclear bombs are not anymore helpful and those who are stockpiling nuclear weapons, politically they are backward, and they are mentally retarded." He added, "The Iranian nation is not seeking an atomic bomb, nor do they need to build an atomic bomb...For defending ourselves we do not need a nuclear weapon." Such comments echo Ahmadinejad's statement at Columbia University in September 2007 when he declared, "We do not believe in nuclear weapons, period. It goes against the whole grain of humanity...I think the politicians who are after atomic bombs or are testing them, making them -- politically they are backward, retarded." January 15, 2013 - In yet another unequivocal declaration of Iran's official prohibition on nuclear weapons, Iranian Foreign Ministry spokesman Ramin Mehmanparast said today at a press conference, "There is nothing more important in defining the framework for our nuclear activities than the Leader's fatwa," adding, "This fatwa is our operational instruction." A brief report paraphrasing the statement was picked up by media outlets worldwide. Mehmanparast could not be more definitive in dispelling suspicions that Iran may ultimately develop a nuclear weapon. "We are the first country to call for a Middle East free of nuclear weapons," he said. "When the highest jurist and authority in the country's leadership issues a fatwa, this will be binding for all of us to follow. So, this fatwa will be our top agenda." Mehmanparast said Westerners "don't have an accurate understanding of Islamic beliefs and fatwas issued by great scholars," suggesting that the U.S. and its allies must take Khamenei's edit seriously. To highlight its seriousness, he said Iran is willing to "register the fatwa as an international document." In the meantime, we expect the other side to recognize our right to peaceful nuclear technology, including enrichment. And then, although we keep the right to enrichment to any level, but as our president has said, we are ready to voluntarily limit ourselves to five percent on the condition that we are given firm guarantee that whenever we need fuel whose enrichment is more than five percent that it would be supplied by the other side, by the other party. So I think if we have good intentions, if both sides have the will to get over this issue, it is possible. We remove your concern; you recognize our right. What else do we have to do? The clerical leadership in Tehran continues to challenge the rationale and morality of nuclear weapons. Although such policy statements are hardly determinative of actual intentions, they do stand in stark contrast to the declaratory policies of other governments of proliferation concern, such as North Korea or Pakistan. Moreover, even as Iran exaggerates (or fraudulently represents) its capabilities with regard to short- and medium-range missiles, it continues to disavow the need for longer-range systems. A similar point was made by former National Security Adviser Zbigniew Brzezinski in 2009. He stated that Iran has been "publicly affirming for quite some time" three main points: "We don't want nuclear weapons. We're not seeking nuclear weapons. Our religion forbids us to have nuclear weapons." Brzeneski added, "Note, incidentally, that this stands in sharp, explicit contrast with the position of the North Koreans. The North Koreans have been saying the very opposite: 'We want nuclear weapons. We're seeking nuclear weapons. And, in your face, haha!, we have nuclear weapons.'" Brzenzinski also condemned the American penchant for "oversimplification and sloganeering rather than analysis" with regards to Iran. In his new paper, Thielmann also points out that a recent Congressional Research Service report "judged it 'increasingly uncertain whether Iran will be able to achieve an ICBM capability by 2015,' as previously forecast by the intelligence community," and that "[a]n understanding that the Iranian ICBM threat is less acute than previously depicted dovetails with the growing realization that U.S. strategic defense capabilities are less robust than previously portrayed." A former State Department and Senate Intelligence Committee analyst, Thielmann is currently the Director of ACA's "Realistic Threat Assessment Project" and has an admirable history of not only resisting alarmism but also pushing back against it. For instance, when everyone was freaking out about the totally overhyped November 2011 IAEA report on Iran, Thielmann wrote (along with Ploughshares Fund senior analyst Benjamin Loehrke) in the Bulletin of Atomic Scientists, "Most analysts familiar with the report agree that there 'is nothing in the report that was not previously known by the governments of the major powers' -- a nuclear Iran is 'neither imminent nor inevitable.'" Thielmann noted further that "there is nothing [in the report] that indicates that Iran is really building a bomb," adding, "Those who want to drum up support for a bombing attack on Iran sort of aggressively misrepresented the report." Such candor and honesty is indeed uncommon in the mainstream discourse when it comes to Iran, its capabilities and its stated intentions and Thielmann's commitment to reality should be commended. (Note: Oddly enough, the report's title is misleading considering it analyzes not only Iran's missile program, but also North Korea's and, perhaps most importantly, that of both Russia and China. Thielmann writes, "The only country that poses an unambiguous, existential threat to the United States from its strategic arsenal is Russia" and that "China too could plausibly launch a devastating nuclear retaliatory strike against the United States." "Fortunately," he points out, "neither Russia nor China is an enemy; each has significant overlapping interests with those of the United States." Thielmann writes that while "Tehran has still not decided to build nuclear weapons and continues to focus on short- and medium-range rather than longer-range ballistic missiles...North Korea is the emerging nuclear weapons state closest to being able to threaten U.S. territory with an ICBM. It has twice conducted underground nuclear tests. It is thought to have enough fissile material for four to eight nuclear warheads." February 14, 2013 - Majlis Speaker Ali Larijani has yet again affirmed the Iranian government's opposition to nuclear arms. Speaking to reporters in the the Pakistani capital Islamabad on February 12, 2013, Larijani said, "We have repeatedly said that such weapons have no place in Iran's nuclear doctrine. Leader of the Islamic Revolution Ayatollah Seyyed Ali Khamenei has also issued a fatwa, forbidding the creation and stockpiling of weapons of mass destruction." Iran's PressTV noted that Larijani "described nuclear weapons as harmful to the peace and security of nations." We have said it always, right from the beginning, that a nuclear weapon has no place in our defence doctrine, for a number of reasons. One reason is because of our religious tenets and principles, our beliefs. Also our leader has issued a fatwa, a religious decree, that would forbid anybody to go into nuclear weapons development in my country. The other aspect, when we look at it from the pragmatic point of view, suppose Iran develops one or two, three or four rudimentary bombs, can it really compete with a country like the US in this regard? Can it be on par with any other country that has been in this domain of developing nuclear weapons for decades? Certainly, that will not be a deterrent for us because with our neighbours we have no problem. February 16, 2013 - Associated Press reporter Ali Akbar Dareini today relayed parts of a new speech delivered by Iranian leader Ali Khamenei in Tehran which - yet again - reiterated Iran's long-held position on nuclear weapons. "We believe nuclear weapons must be abolished and we have no intention of building" such weaponry, Khamenei said, adding, "If Iran had the intention to build nuclear weapons, the U.S. could in no way stop the Iranian nation." He continued, "They want to deny the Iranian nation of its definite and inalienable right to uranium enrichment and peaceful use of nuclear energy. Of course, they won't succeed." They constantly publish false statements about the Islamic Republic state and the Iranian nation. A few days ago, the American President made a statement about Iran's nuclear issues. He spoke as if the difference between Iran and America was that Iran wanted to build nuclear weapons, and he said that as far as they (American officials) could, they would not allow Iran to build nuclear weapons. If we really intended to build nuclear weapons, how could you prevent us? If Iran had decided to have nuclear weapons, America could by no means stop it. If we did not have such a belief and had decided to build nuclear weapons, no power could have stopped us, as they could not stop other countries, such as India, Pakistan, and North Korea, from doing so. They (the Americans) opposed them; nevertheless they built their nuclear weapons. They are somehow deceptive in saying that they would not allow Iran to build nuclear weapons. The discussion is not over nuclear weapons. Iran's nuclear case is not about nuclear weapons. They (the Americans) rather want to prevent the Iranian nation from exercising its absolute and undeniable right, i.e. nuclear enrichment and the peaceful use of Iran's domestic capabilities. You (the Americans) are however not able to do so. The Iranian nation will exercise its right. March 6, 2013 - Speaking before the IAEA Board of Governors, Iran's envoy Ali Asghar Soltanieh reaffirmed the Iranian position that "[n]uclear weapons have no place in the defense doctrine of Iran." There is no doubt that the decision makers in the countries opposing us know well that Iran is not after nuclear weapons because the Islamic Republic, logically, religiously and theoretically, considers the possession of nuclear weapons a grave sin and believes the proliferation of such weapons is senseless, destructive and dangerous. March 21, 2013 - In his Nowruz speech in northeastern Iran, Khamenei addressed the constant allegations made by American officials. "We have repeatedly told you that we are not after nuclear weapons. You say you don't believe us. Why should we believe you?," he said. "When you are not ready to accept an honest and logical remark, why should we accept your words that have been disproved many times?" The Iranian leader further explained, "Iran only wants that the world recognize its enrichment right which is its natural right." April 16, 2013 - While on a three-day visit to Africa, Iranian President Mahmoud Ahmadinejad has once again repeated the official position of the Islamic Republic toward nuclear weapons, articulating the same statements he has made consistently for years. "The era of the atomic bomb is over. Atomic bombs are no longer useful and have no effect on political equations. Atomic bombs belong to the last century, and anyone who thinks he can rule the world by atomic bombs is a political fool," Ahmadinejad said, according to a report by Iran's state-run PressTV. He also called the conflation of nuclear energy with nuclear weapons "a big lie." "Nuclear energy is one thing and an atomic bomb is another. This useful energy must belong to all nations," Ahmadinejad stated, adding "We are fighting so that all nations could use peaceful nuclear energy." May 20, 2013 - In a meeting with a South Korean parliamentarian, Chairman of the Majlis National Security and Foreign Policy Committee Alaeddin Boroujerdi asserted Iran's right to peaceful nuclear energy and opposition to nuclear weapons. "Iran seriously opposes nuclear bombs and believes that all nuclear weapons in the world should be eliminated," he said. June 5, 2013 - Iranian Ambassador to the IAEA has, once again, reaffirmed Iran's opposition to nuclear arms and commitment to abide by its treaty obligations which guarantee the inalienable right of nations to a peaceful nuclear energy program. Speaking at a press conference in Vienna on June 5, Ali Asghar Soltanieh said, 'The great nation of Iran will not permit anybody to deprive its present and future generation of inalienable right to peaceful nuclear energy, and therefore I can tell you that we will not yield to pressure, sanctions, threats of attack." "Our nuclear policy is very clear. The nuclear weapon does not have any place in our nuclear doctrine," he said, adding, "We'll continue our nuclear activities, including enrichment, without any interruption under the full scope safeguards [agreement] of the IAEA." That same day, Soltanieh spoke before the IAEA Board of Governors Seasonal Session, noting the politicized duplicity of the agency with regards to its own commitments under the NPT and Iran's nuclear program, as well as reaffirming that Iran's "nuclear activities are exclusively for peaceful purposes." '...If they would continue production of huge atomic weapons, etcetera, the world would move towards annihilation and the nations would suffer very gravely. June 12, 2013 - In an interview with the London-based Arabic daily newspaper Asharq Al-Awsat, Iranian presidential candidate Hassan Rouhani, a former parliamentarian, National Security Council chief and nuclear negotiator, articulated the Iranian stance on the legitimacy of its nuclear program and its continued opposition to nuclear weapons. "Iran has an exclusively peaceful nuclear program, which under international law is lawful and indisputable. A politically motivated campaign of misinformation has persistently attempted to cast doubts on the exclusively peaceful nature of this program," Rouhani stated, adding, "If elected, I will reverse this trend by restoring international confidence and exposing the ulterior motives [of Iran's critics]. Nuclear weapons have no role in Iran's national security doctrine, and therefore Iran has nothing to conceal." July 25, 2013 - Addressing the United Nations Security Council in New York City on July 23, Iran's Deputy Permanent Representative to the UN Gholam Hossein Dehqani declared, "The nature of Iran's nuclear program is completely peaceful and is fully compatible with the country's international undertakings." August 23, 2013 - Iranian Foreign Minister Mohammad Javad Zarif, who served as Ambassador to the United Nations during the Khatami administration, said on August 22, 2013 during a television interview, "The people of Iran will not pass on their rights and no administration can pass on the people's rights, but we want to show the world that there exists no threat from Iran's side. We principally do not see nuclear arms as being in the direction of the country's security," adding, "Nuclear weapons have no place in Iran’s doctrine, and not only it does not provide security for the country, but also it is a threat to our national security. We are a powerful country and do not need nuclear weapons." A few days ago, Zarif said much of the same thing: "[A]ccording to the fatwa [religious decree] issued by the Supreme Leader and based on the strategic needs of Iran, nuclear weapons have no place in our national security doctrine and are even detrimental to our national security." September 6, 2013 - Once again, Mohammad Javad Zarif, Iran's newly-appointed foreign minister, has stated Iran's clear opposition to the acquisition of nuclear weapons. Zarif, telling the press that Iran is intent on resuming negotiations over its nuclear program and resolving the diplomatic impasse with its nuclear-armed negotiating partners in the P5+1, said that "there are two principles in the nuclear domain -- first and foremost, respect for our rights in matters of nuclear technology, especially the enrichment of uranium," adding, "Following that is to allay international concerns" regarding Iran's nuclear program. "Allaying international concerns is in our interest because atomic weapons do not form part of the Islamic republic's policies," Zarif said. "Consequently, our interest is to remove any ambiguity regarding our country's nuclear programme." September 18, 2013 - Speaking in Tehran to NBC's Ann Curry in his very first interview with an American media outlet, Iranian President Hassan Rouhani again - and repeatedly, considering Ms. Curry kept asking him the same question over and over - asserted Iran's condemnation of nuclear arms and its commitment never to build or acquire such weaponry. Rouhani was patient. "The answer is that this country will never seek nuclear weapons." When she interviewed President Mahmoud Ahmadinejad in September 2009, he told her (as noted in the above litany), "We don't have such a need for nuclear weapons. We don't need nuclear weapons. Without such weapons, we are very much able to defend ourselves...It's not a part of our any – of our programs and plans." When Ahmadinejad reiterated, "We do not need nuclear weapon and we do not accept nuclear weapons. We are against that," Curry quadrupled-down, "So you're saying the answer is no?" And yet, all we hear is that Rouhani's unequivocal statement against nuclear weapons is something new and unprecedented. Clearly, it's not. Just yesterday, addressing a gathering of Islamic Revolution Guards Corps (IRGC) officials, Iranian leader Ayatollah Ali Khamenei reaffirmed, "We are against nuclear weapons not because of the US or others, but because of our beliefs. And when we say no one should have nuclear weapons, we definitely do not pursue it ourselves either." Nevertheless, Brian Williams, during tonight's broadcast of NBC Nightly News, told his audience that Rouhani's exclusive interview with Curry is "significant because it represents the first reason for any optimism, the first sign of any movement from Iran on the issue of nuclear weapons." A longer version of this update was posted as a stand-alone article, entitled, "Rouhani, Like Countless Iranian Officials Before Him, Affirms: Iran Will Never Seek Nuclear Weapons." September 24, 2013 - Addressing the United Nations General Assembly for the first time as President, Hassan Rouhani stated, unequivocally, that Iran will never pursue the acquisition of nuclear weapons and will never militarize its peaceful nuclear energy program. Iran and other actors should pursue two common objectives as two mutually inseparable parts of a political solution for the nuclear dossier of Iran. 1. Iran's nuclear program - and for that matter, that of all other countries - must pursue exclusively peaceful purposes. I declare here, openly and unambiguously, that, notwithstanding the positions of others, this has been, and will always be, the objective of the Islamic Republic of Iran. Nuclear weapon and other weapons of mass destruction have no place in Iran's security and defense doctrine, and contradict our fundamental religious and ethical convictions. Our national interests make it imperative that we remove any and all reasonable concerns about Iran's peaceful nuclear program. 2. The second objective, that is, acceptance of and respect for the implementation of the right to enrichment inside Iran and enjoyment of other related nuclear rights, provides the only path towards achieving the first objective. Nuclear knowledge in Iran has been domesticated now and the nuclear technology, inclusive of enrichment, has already reached industrial scale. It is, therefore, an illusion, and extremely unrealistic, to presume that the peaceful nature of the nuclear program of lran could be ensured through impeding the program via illegitimate pressures. On the nuclear issue, the first point is that the entire world must recognize that Iran does not seek a nuclear weapon, nor shall it seek a nuclear weapon. Iran rejects weapons of mass destruction based on its belief system, its religious belief system, as well as well as its ethical standpoint. And you're well aware that the supreme leader has, in fact, issued a decree that bans the production and the stockpiling of any weapons of mass destruction, specifically the nuclear weapon, as being haram. September 26, 2013 - As chair of the Non-Aligned Movement, Iranian President Hassan Rouhani addressed the United Nations Conference on Nuclear Disarmament and called, as so many Iranian officials have in the past, for a world without nuclear weapons. "As long as nuclear weapons exist, the risk of their use, threat of use and proliferation persist. The only absolute guarantee is their total elimination," he said. Any use of nuclear weapons is a violation of the UN Charter and a crime against humanity. Doctrines justifying such use are unacceptable. Likewise, threatening non-nuclear-weapon States with nuclear weapons should be ended. Modernization of these weapons also undercuts efforts for their total abolition. These should therefore be stopped. "No nation should possess nuclear weapons; since there are no right hands for these wrong weapons," Rouhani said, paraphrasing the words of UN Secretary General Ban Ki-moon. "NAM is determined to make every effort to realize the vision of a nuclear-weapon-free world without further delay. Instead of nuclear weapons, let us invest in development and in eradicating poverty, ignorance, and diseases." Rouhani concluded, "Let us bestow upon future generations a nuclear-weapon-free world. This is their right and our responsibility. Let us prove that we are the United Nations: nations united for peace." September 30, 2013 - In a September 29 interview with George Stephanopoulos on ABC's "This Week," Iranian Foreign Minister Javad Zarif said, "We know that Iran is not seeking a nuclear weapon. Having an Iran that does not have nuclear weapons is not just your goal [in the West]. It's first and foremost our goal." While affirming that Iran's "right to enrich is non-negotiable," Zarif explained, "We do not need military grade uranium. That is a certainty and we will not move in that direction." We're not seeking nuclear weapons. So, we're not six months, six years, sixty years away from nuclear weapons. We don't want nuclear weapons. We believe nuclear weapons are detrimental to our security. We believe those who have the illusion that nuclear weapons provide them with security are badly mistaken. We need to have a region and a world free from nuclear weapons. I appeared before the international court of justice about 16 years ago and argued for 90 minutes that the use of chemical -- nuclear weapons under any circumstances is illegal. Our leader has a religious verdict that the use of nuclear weapons, even possession of nuclear weapons, is contrary to religious doctrine. So, these are our positions. Obviously, these positions have been reiterated constantly by Iranians officials over the past few decades. Zarif himself stated in mid-September that it is in "Iran's national security interest for the entire world to know that we do not want nuclear weapons; that nuclear weapons have no place in Iran's security doctrine and even the perception in the world that Iran pursues a nuclear weapons program is detrimental to our security." December 31, 2013 - In a syndicated column published December 30, 2013 outlining Iranian strategic political and diplomatic policy goals for the upcoming year, Iranian President Hassan Rouhani wrote that Iran is "committed not to work toward developing and producing a nuclear bomb." As enunciated in the fatwa issued by supreme leader Ayatollah Ali Khamenei, we strongly believe that the development, production, stockpiling and use of nuclear weapons are contrary to Islamic norms. We never even contemplated the option of acquiring nuclear weapons, because we believe that such weapons could undermine our national security interests; as a result, they have no place in Iran’s security doctrine. Even the perception that Iran may develop nuclear weapons is detrimental to our security and overall national interest. We've said that we don't want a nuclear bomb. We've made it clear that in our nuclear doctrine — in our defense doctrine — nuclear weapons not only do not augment our security, but in fact are detrimental to our security. We make that very clear. And there is a very sound, strategic argument. And let me tell you something, and tell your listeners who are sophisticated, that it is not conducive to tell governments in the developing world that by having nuclear weapons you increase your power. It's theoretically wrong, and even if it was theoretically not wrong, for powers who are interested in non-proliferation, you should continue to say that nuclear weapons do not augment anybody's security. They create a panacea sort of — that with nuclear weapons you resolve all your problems. You gain domestic security. You gain external security. And this is just a panacea. Is Israel secure — in a secure situation because of its nuclear weapons? Did nuclear weapons secure the United States from 9/11? So let's be realistic. We are in a region that nuclear weapons would only reduce and diminish our security. And that's a very calculated, strategic doctrine which some people fail to understand here. Unfortunately, despite the fact that Iran is well known not to have a nuclear weapons program, NPR still claimed that Inskeep was interviewing Zarif "about negotiations over Iran's nuclear weapons program." In January 2012, NPR's then-ombudsman Edward Schumacher-Matos addressed this kind of sloppy phrasing directly. "Shorthand references are often dangerous in journalism," he wrote, "and listeners are correct to be on the alert for them. Repeated enough as fact—'Iran's nuclear weapons program'—they take on a life of their own." Furthermore, Schumacher-Matos stated clearly that "NPR's policy is to refer in shorthand to Iran's 'nuclear program' and not 'nuclear weapons program.'" It's unfortunate, albeit unsurprising, that—when it comes to fear-mongering about Iran—NPR doesn't even play by its own rules. Iran is not about building nuclear weapon. We don't wanna build nuclear weapons. We don't believe that nuclear weapons bring security to anybody, certainly not to us. So -- it's important for everybody to come to the realization that -- this is about nuclear technology, this is about scientific advancement, this is about pride of the Iranian people. It has nothing to do with nuclear weapons. This deal will help ensure that Iran's nuclear program will always remain peaceful. We have no doubt in Iran that our nuclear program is peaceful, will remain peaceful. There may be people who have concerns. There may be people who -- who may have been affected by the type of -- hysteria that is being fanned by people like Mr. Netanyahu. And it is useful for everybody to allow this deal to go through. April 19, 2015 - In a television speech before hundreds of military commanders, Iranian leader Ali Khamenei said of officials in United States today, "They created the myth of nuclear weapons so they could say the Islamic Republic is a source of threat. No, the source of threat is America itself, with its unrestrained, destabilizing interventions."